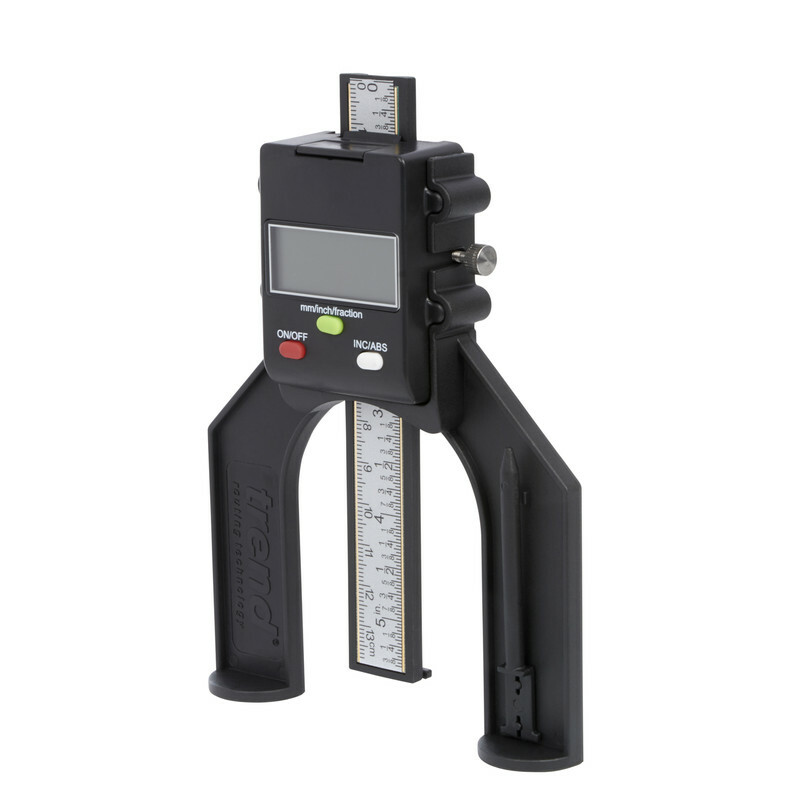 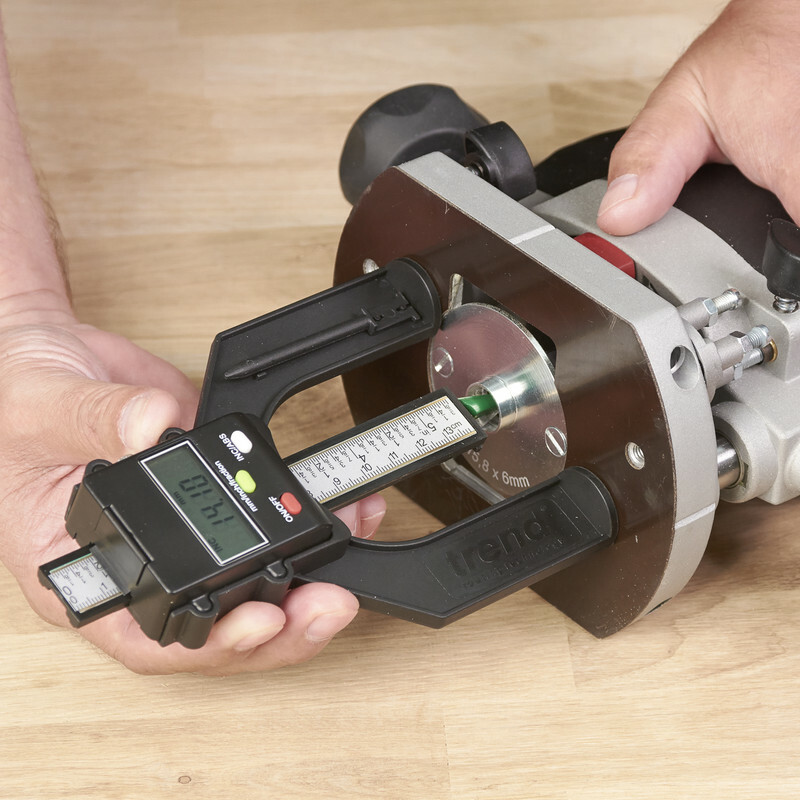 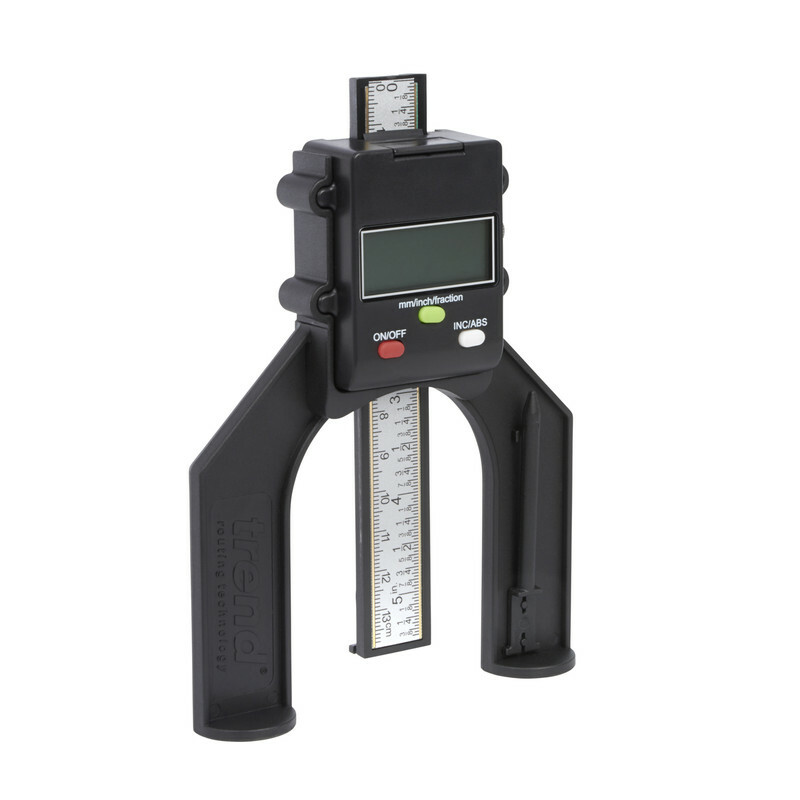 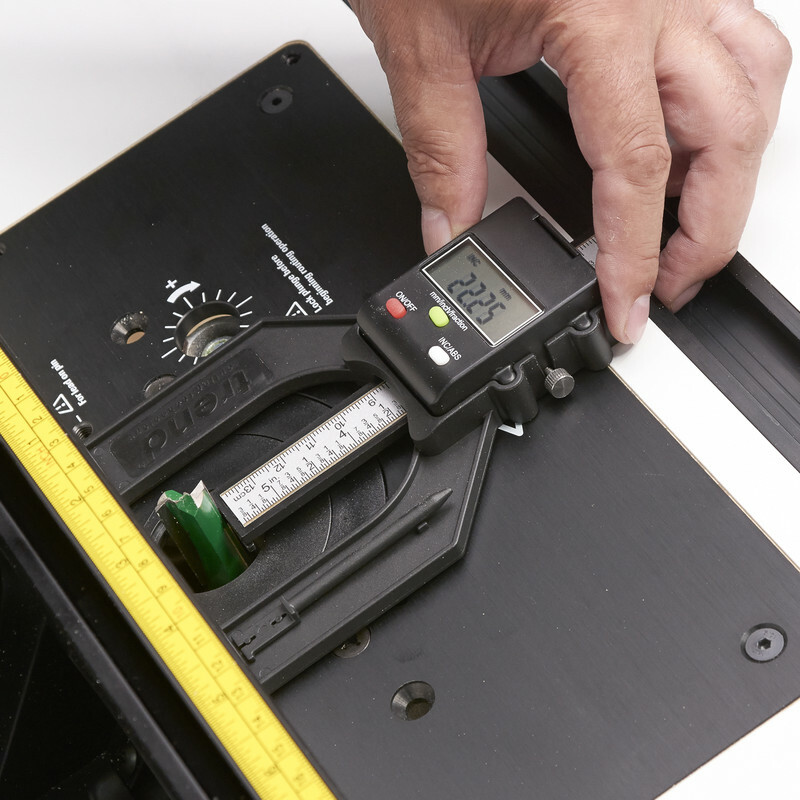 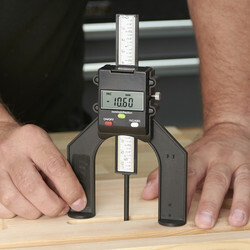 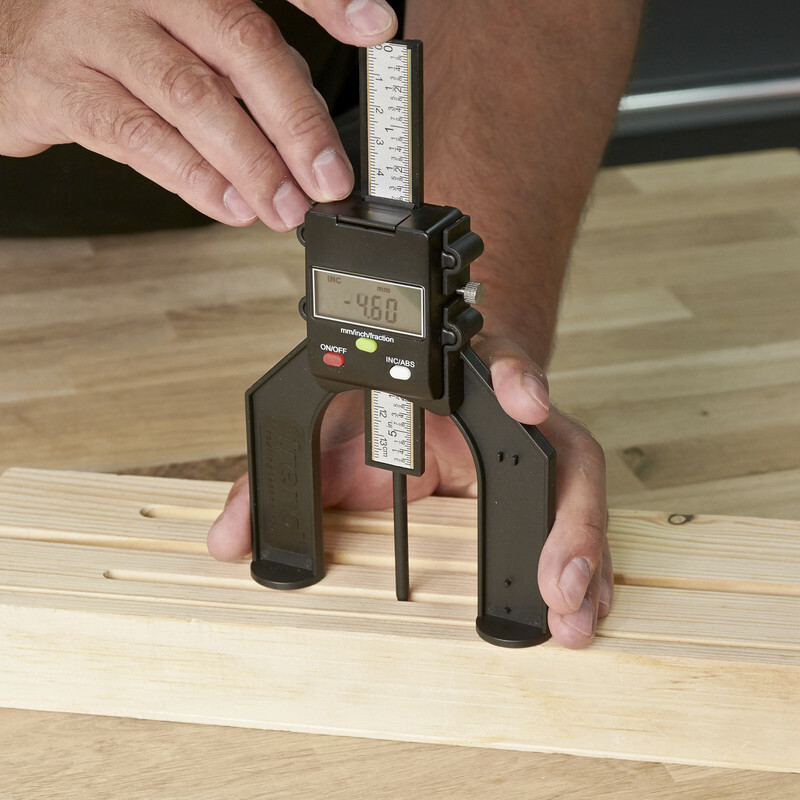 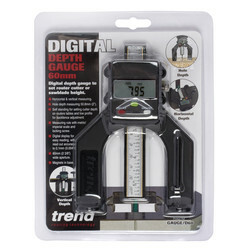 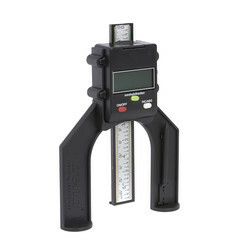 Digital depth gauge ideal for use with router tables and saw benches. 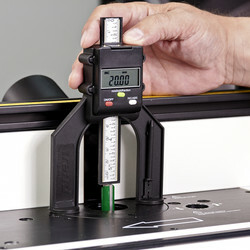 LCD readout for mm, imperial and fractions. 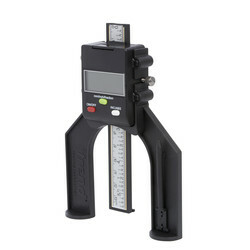 Supplied with battery. 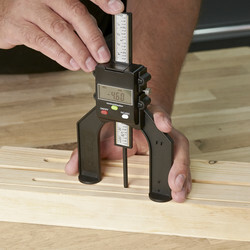 For use with hand routers, router tables and saw benches. 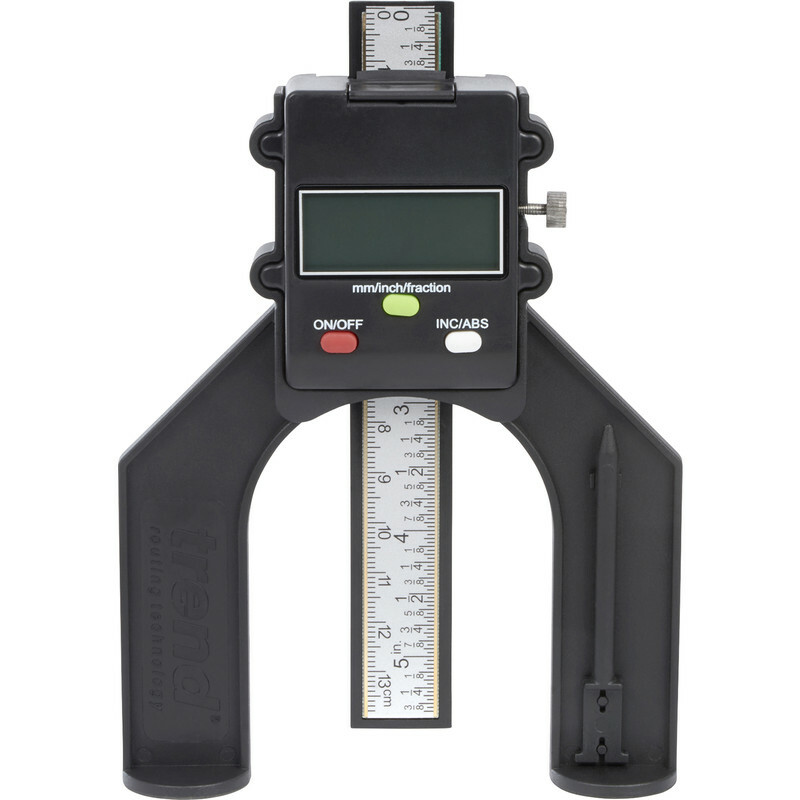 Self standing with magnetic feet and flat back. 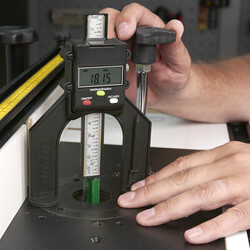 Removable pin to allow depth holes to be measured.